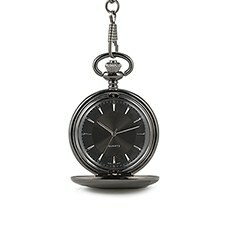 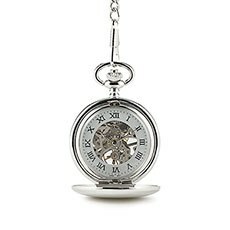 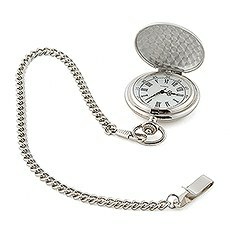 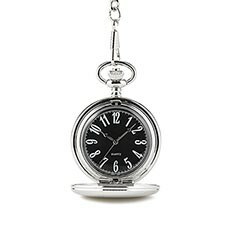 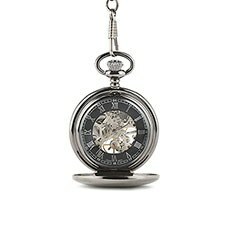 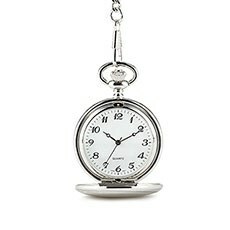 A personalized men’s gift with a vintage vibe, these handsome men’s pocket watches are a classy way to keep an eye on the time. 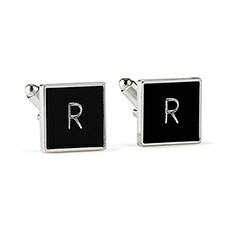 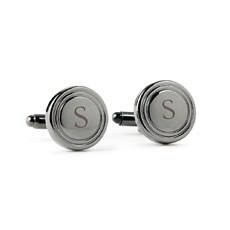 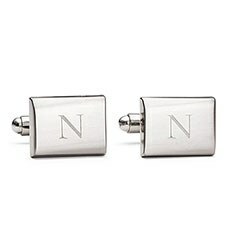 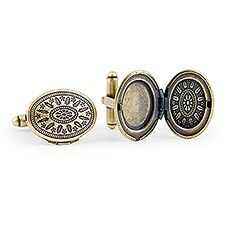 Gold, silver, gunmetal, black, round, or square, all shapes and styles of personalized cufflinks and tie clips for a classic men’s gift that is always in style. 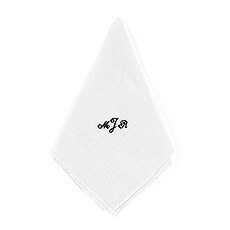 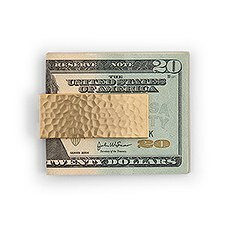 A monogrammed cotton handkerchief is a very stylish way to wipe a tear or cover a sneeze. 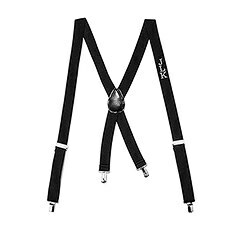 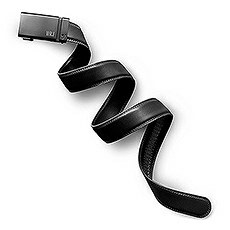 Searching for gifts for that dapper dude who has everything? 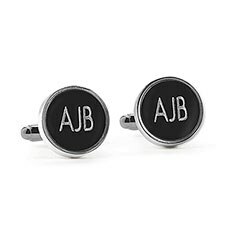 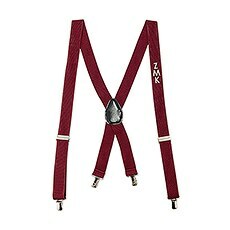 There's no present more apropos for the gent who loves good style, whether that means buttoned-up or dressed-down, than personalized men's accessories. 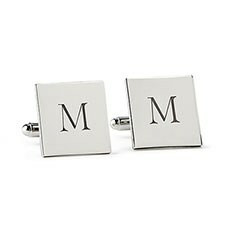 A good, customized handkerchief or a pair of personalized cufflinks make a pleasing present for the groom, best man, groomsmen, dads, grandpas and even the ring bearer. 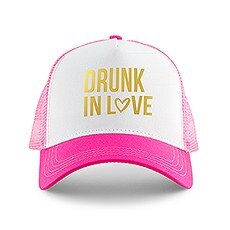 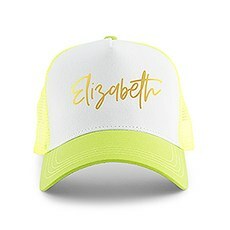 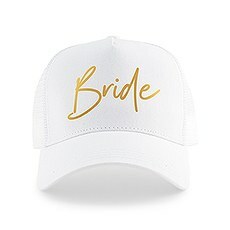 They're also amazing gifts for other special occasions, including promotions, birthdays, Valentine's Day, anniversaries and the holidays. 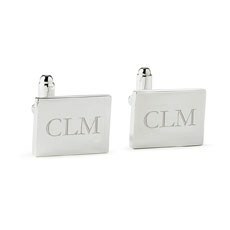 That's because every guy loves anything emblazoned with his initials or name.Some of our most popular custom men's accessories are our personalized handkerchiefs for men. 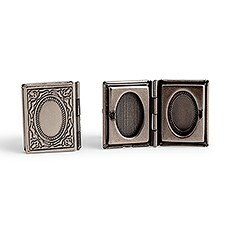 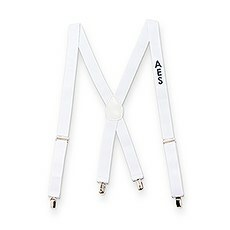 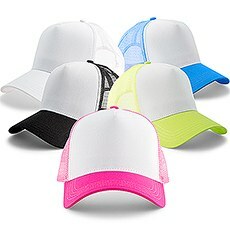 These babies double as practical accessories and stylish finishing touches in one. 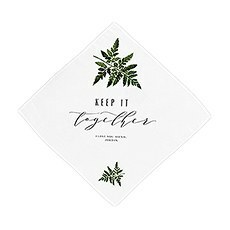 He can use a handsome hanky to wipe a tear, cover a sneeze or complement his ensemble in place of a neatly pressed pocket square. 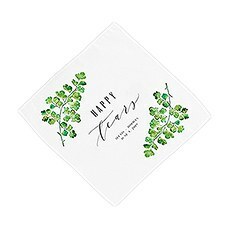 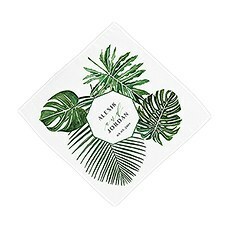 Our personalized men's handkerchiefs come in tons of unique styles to match his personality, whether it's rustic and outdoorsy or exceptionally dressy. 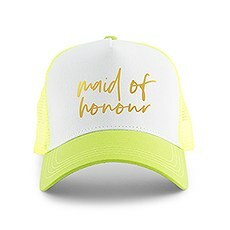 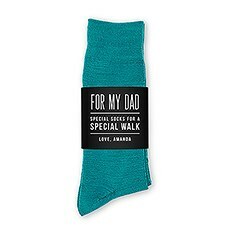 Plus, you can give a personalized men's handkerchief for any occasion, whether for a wedding, new baby or any other special milestone.We also offer a great selection of personalized money clips and wallets for the fellow who needs a little extra help in the dough department. 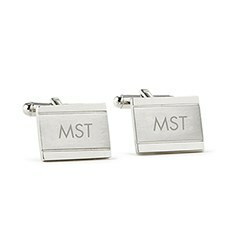 Got a guy who loves to jet-set? 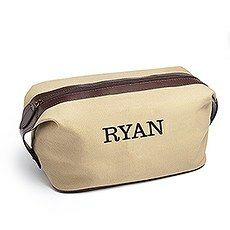 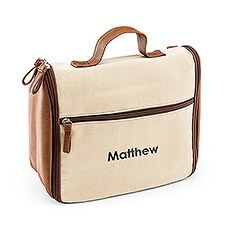 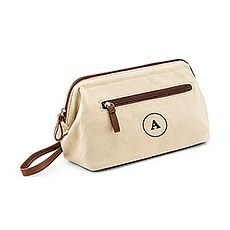 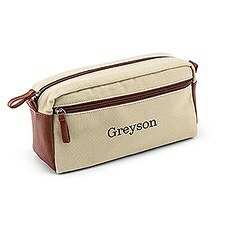 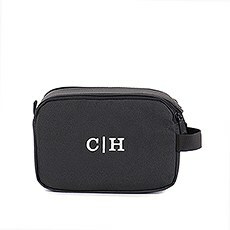 Shop our selection of personalized toiletry bags that help him keep all his essential travel gear well-organized. 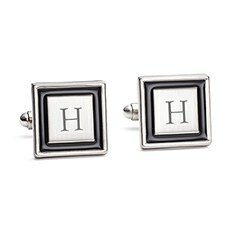 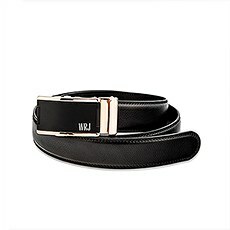 All of these products are designed to help you play into his trendy, rustic or timeless sense of style while simultaneously helping him nail those extra-special little details. 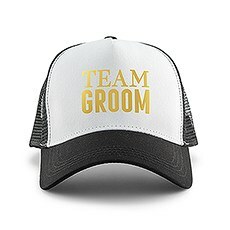 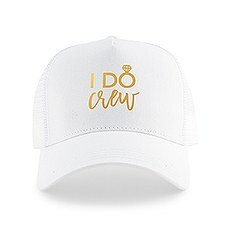 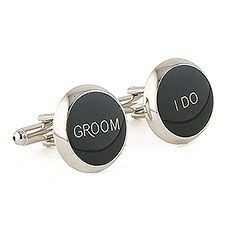 If you're looking for more amazing personalized men's gifts, make sure to check out Weddingstar's complete collection for gear that'll make any guy giddy.